Netherlocks provides locks for all levels of safety. 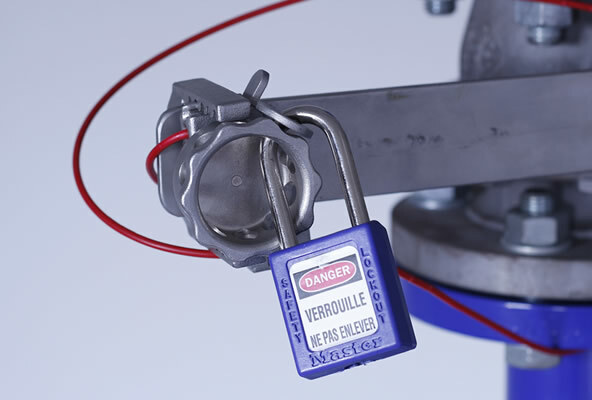 Our Lockout/Tagout range contains a variety of padlocks in different sizes and materials, and locking devices to temporarily lock a power source during maintenance. The Netherlocks Wire Lock enables blocking of a multi turn valve in open, closed or any position in between. The cable will be clamped indirectly by a tamperproof screw. The indirect way of locking avoids damage to the cable. The wire lock comes with a graved serial number. Optionally, a second safety is available, which protects the tamper proof screw with a padlock. The second safety can be added afterwards easily. Operation instructions, such as how to position the lock, can be indicated by a separate tag plate. This tag plate is fixed permanently to the lock. The loose end of the wire is closed with a stainless steel cap. This prevents operator injuries caused by loose wires. The Netherlocks Hybrid Lock is a universal and flexible lockout device. It fits both hand wheel as well as lever operated valves in all sizes and can be installed to the valve in any position. It is equipped with a 1,5 meter cable, which can be replaced by a longer cable when necessary. The Hybrid Lock is easy to lock with a padlock and requires no mounting parts. Netherlocks represents Master Lock who supplies a complete range of safety Lockout/Tagout products. This exclusive line of LO/TO accessories includes innovative and patent-pending cable lockouts, gate valve, ball valve, circuit breaker, plug covers and much more. Available individually or in modular kits and stations, these LO/TO products are easy-to-use and effective in use. 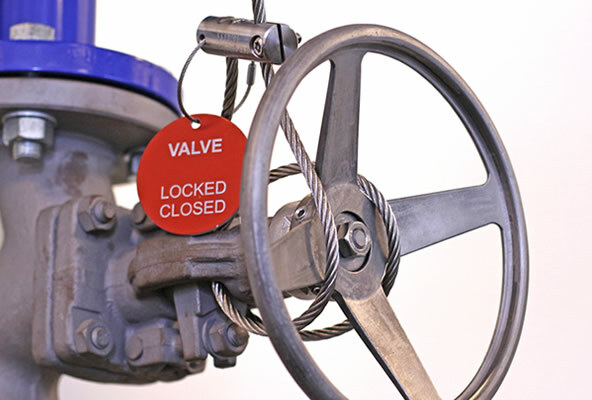 The total line of products and services provided by Netherlocks are designed to help you successfully develop and implement the best possible lockout/tagout system for your facility. The goal is for your facility to meet or surpass OSHA’s (Occupational Safety & Health Administration) LO/TO requirements.